Twice a year for two weeks the fashion crowd takes over New York. Twice a year, the world's fashion luminaries descend upon New York for an eight-day, eight-night, four-runway event: Mercedes-Benz Fashion Week. This winter Mercedes-Benz Fashion Week started on yesterday, Wednesday 12. Last year in September horse carriages in the Central Park were used to signal the start of Fashion Week for the first time. Fashion designer Vincent de Souza placed his models in the buggies. 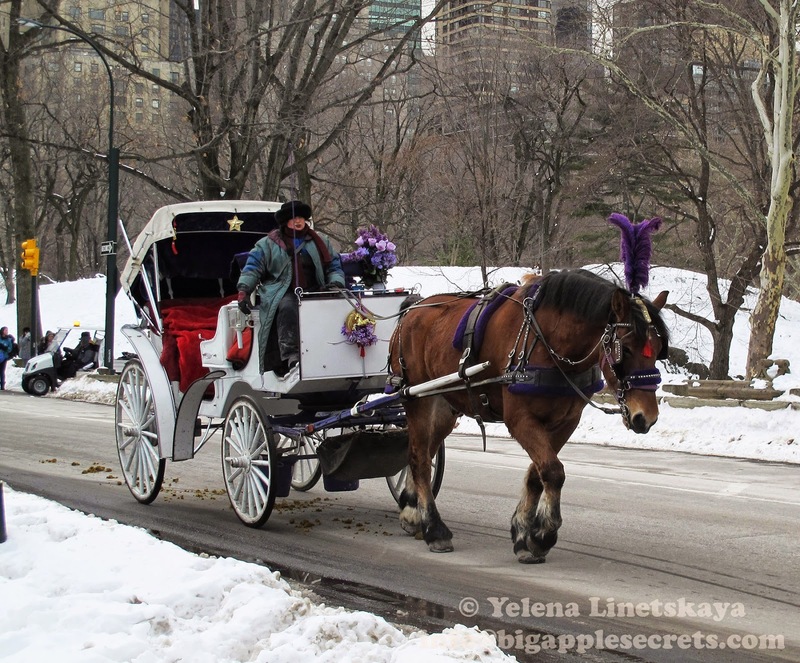 De Souza previously called the horse-drawn carriage "the epitome of style," and said "there is no better canvas for a runway show than a carriage ride through Central Park." 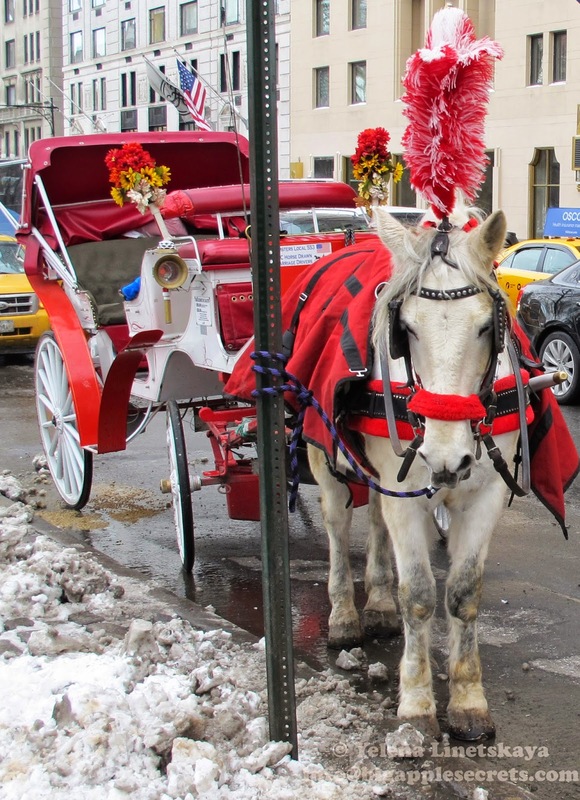 At the end of 2013 Mayor of New York City de Blasio said at education press conference: "We are going to get rid of horse carriages, period ". Mayor wanted to replace the horses with the electric retro cars and animal rights activists supported him. 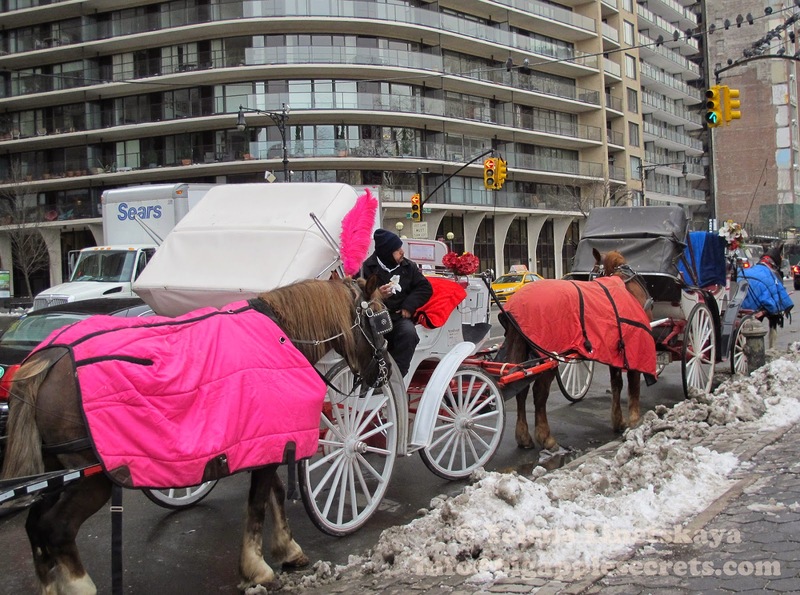 I published several posts about the horses in Central Park and I do not support de Blasio. 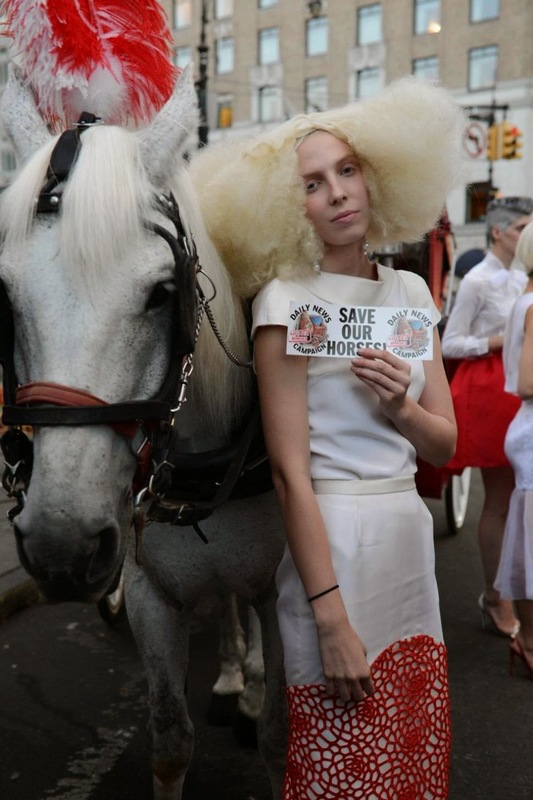 Last year Vincent de Souza showed his support for the city’s beloved horse carriage industry. “I grew up with horses. I understand what they’re saying but these horses are obviously well taken care of,” said one of his models. Yesterday fashion designer Viktor Luna kicked off Fashion Week in the Central Park. He placed his models on a carriages. The protesters, had run after the carriages while they carried the models in a short circuit around the park — yelling and waving signs the entire time. Luna said he grew up around horses as a kid in California, and thought the carriage horses’ riding gear dovetailed perfectly with his designs, predominantly high-end leather outerwear. "The animals are being taken care of, I’ve done my research. ", Luna said. The Newspaper Daily News run the campaign "Save our horses!" . Daily News said: The horse-drawn carriages of Central Park have become a high-profile target since Mayor de Blasio took office, vowing to make good on his campaign promise to ban the beloved industry.Animal rights groups insist the horses are mistreated — despite city-enforced regulations and oversight that protect the horses, which aren't allowed to work in extreme heat or cold, get regular vet check-ups, have large stalls, and get five weeks' vacation annually. The protest groups — spearheaded mainly by NYCLASS, a financial backer of de Blasio during the mayoral race — have angered many horse rescue groups, who say there are hundreds of equines in far worse situations that need to be saved.